At PAX Prime this year, one demo that stood out to me was The Darkness II. Having not played its prequel, I am quite uneducated as to its storyline. 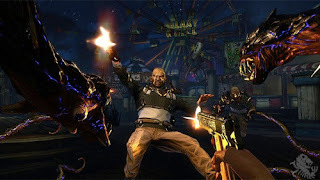 But, it's fast-paced first-person shooter/action style gameplay in combination with its dark humor and fantasy aspects seemed like a promising combination. As Jackie Estacado, the main character, wields two firearms and two demonic tendrils, the game offers the player up to four weapons to manage at once. The trade-off used to provide challenge is a weakness to light. 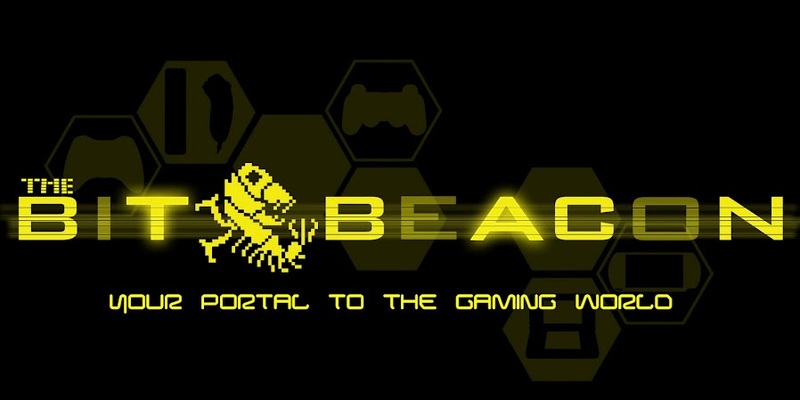 Hence, the player must traverse through the game, eliminating all lights before moving forward, as not to be drained of health. The 'Mature' factor is also an obvious aspect of the game. While picking off enemies, the player can rip the hearts out of their dead bodies and consume them to restore health. The game gives the player a variety of optional kills, including several 'execution' moves. My favorite of these moves is the “Anaconda,”where one tendril holds the enemy in front of the screen, while the other wraps around him, enters through his back, then bursts its shrieking head out of his ribcage. If an enemy is executed, he will provide no heart to consume, but will be taken out instantly. The demo begins with Jackie being crucified in a dank room by the main villain. In front of him is a glowing, purple relic which clearly represents the darkness. The villian demands that Jackie hand over the darkness to him in a very sinister and deceptive tone. He begins 'reminding' Jackie why he should return the darkness to those who can handle it by bringing back memories of Jackie's past including memories of a woman. These memories serve as the playable chapters of the game. The first memory takes place in a restaurant. Just as Jackie is about to be seated at his table, a van smashes through the wall of the place and masked gunmen begin terrorizing. After a cut, he wakes up and his friend begins dragging him to the back of the restaurant. At this point, the player must use two pistols to take out enemies while being dragged. Once in the back of the restaurant, the gas is turned on and one of the baddies throws a Molotov cocktail through the window, as to burn down the room. Jackie, dying, begins to crawl toward an opening in the restaurant wall where a gunman stands taunting him to come closer. 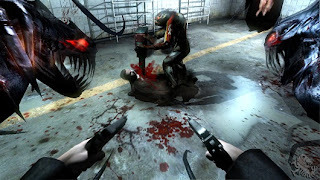 At this point the player activates the darkness, transforming Jackie into a demonic creature with two crazy tendrils, and rips the gunman to shreds. The demo then progresses through the back ally, streets, a building and a subway station. Tutorials teach the player how to control Jackie with his new abilities, consume hearts, kill the lights and use the tendrils to cut through a variety of obstacles. It then continues back to the present time, in the room where Jackie is staked to a cross and a henchman is beating his stomach to a pulp. As the villain continues to talk tough, Jackie begins to transform again. The player is given the option through quicktime button presses to resist the transformation. If able to resist, Jackie slides one hand over the stake and rips out the other, freeing his whole upper body. He then rams the stake into the henchman's left temple, steals his gun and shoots out the light. The demo ends shortly thereafter. I found the music and FX to be quite fitting and the voice acting to be above average. The controls are well mapped but still take a few minutes to get use to. Since the player essentially has four weapons and multiple ways to use them, there are a number of 'hold-this-press-that' cases present among the control scheme. Overall, I must say that the demo portrays a very promising future title and has certainly intrigued me to look into its prequel. 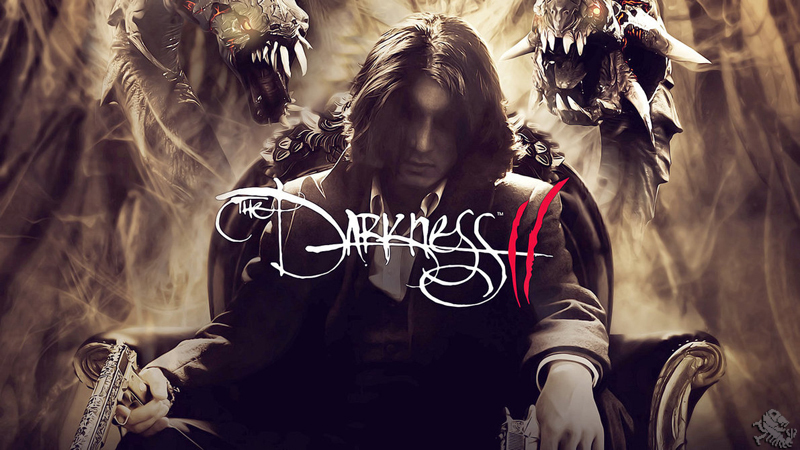 The Darkness II is said to release on February 7, 2012. 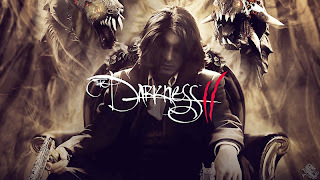 If anyone wants to fill me in on any key details I should know about from the prequel, or questions/insight concerning The Darkness II demo, leave some comments. Let's discuss!